Surf Lodge package in Asu, one of the 8 islands of Hinakos, located 10 km west of Nias, north of Sumatra, Indonesia. 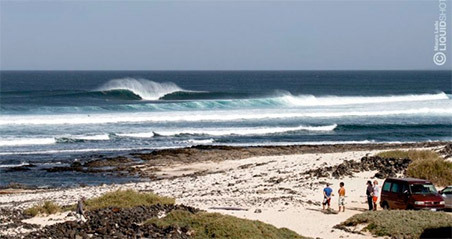 Thanks to its location in the middle of the Indian Ocean, you will be able to surf in 9 different spots on 5 different islands, each wave is exposed to a different angle, so depending on the direction of the wind and the swell, you will always get perfect spot every day! Asu Surf Lodge reflects the image of Indonesian perfect waves with little crowde, relax, crystal clear water, white beaches and good cooking thanks to our amzing chief. You will find relaxation and comfort in your bungalow with high-speed internet wi-fi and, above all, you will be right in front of the action, we are the only resort with view on the surf spot! To reach the island of Nias, we first recommend flying to Jakarta international airport (CGK), in the capital of Indonesia, easily reachable by international flights. From there, you must reach Medan Airport (KNO), there are several domestic flights from Jakarta to Medan, with Lion Air, Garuda, Citilink, Sriwijaya. Once you arrive at Medan airport, you have to fly to Nias Airport (GNS), usually with Wings Air or Garuda Airlines. Surflodge airport shuttle and boat: We offer the transfer service, first by private AC car and then by speedboat, roundtrip, Nias airport / port / lodge in Asu, with driver and private captain of the surflodge. Duration: 2.5 hours in total, roundtrip price Euro 150 per person. Most nationalities do NOT need a special visa to go to Indonesia (30 days on arrival). We always reccommend to check the validity of your passport before travelling (at least 6 months validity from the scheduled return date) and to take various copies of your passport with you, if the original gets lost. There are not good hospital facilities in Asu/Nias, only small medical centers, we recommend traveling with an international travel insurance, in the emergency case of helicopter transfer to a bigger hospital.